One perk of living in California is the sunny weather which allows for grilling year round. 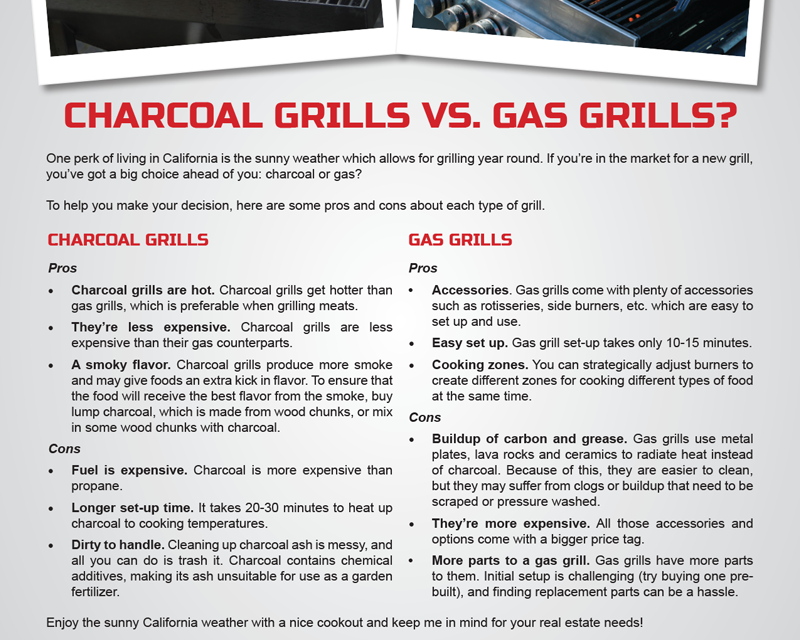 If you’re in the market for a new grill, you’ve got a big choice ahead of you: charcoal or gas? 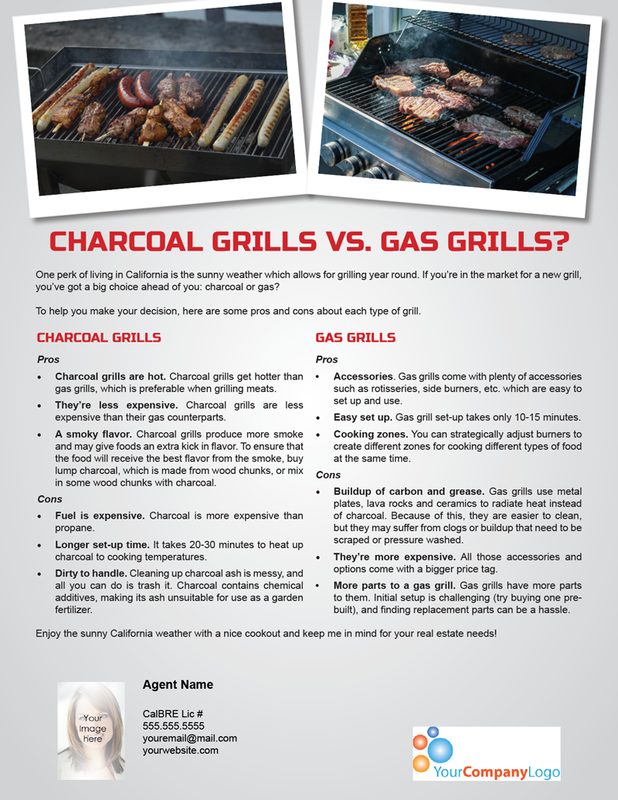 To help you make your decision, here are some pros and cons about each type of grill. Charcoal grills are hot. Charcoal grills get hotter than gas grills, which is preferable when grilling meats. They’re less expensive. Charcoal grills are less expensive than their gas counterparts. A smoky flavor. Charcoal grills produce more smoke and may give foods an extra kick in flavor. To ensure that the food will receive the best flavor from the smoke, buy lump charcoal, which is made from wood chunks, or mix in some wood chunks with charcoal. Fuel is expensive. Charcoal is more expensive than propane. Longer set-up time. It takes 20-30 minutes to heat up charcoal to cooking temperatures. Dirty to handle. Cleaning up charcoal ash is messy, and all you can do is trash it. Charcoal contains chemical additives, making its ash unsuitable for use as a garden fertilizer. Accessories. Gas grills come with plenty of accessories such as rotisseries, side burners, etc. which are easy to set up and use. Easy set up. Gas grill set-up takes only 10-15 minutes. Cooking zones. You can strategically adjust burners to create different zones for cooking different types of food at the same time. Buildup of carbon and grease. Gas grills use metal plates, lava rocks and ceramics to radiate heat instead of charcoal. Because of this, they are easier to clean, but they may suffer from clogs or buildup that need to be scraped or pressure washed. They’re more expensive. 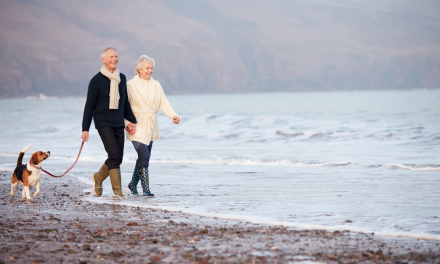 All those accessories and options come with a bigger price tag. More parts to a gas grill. Gas grills have more parts to them. Initial setup is challenging (try buying one pre-built), and finding replacement parts can be a hassle. 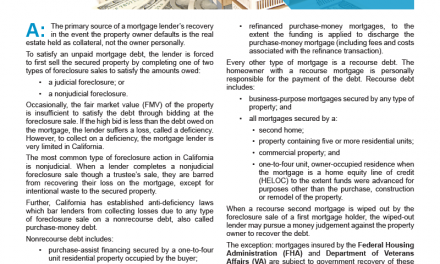 Enjoy the sunny California weather with a nice cookout and keep me in mind for your real estate needs! 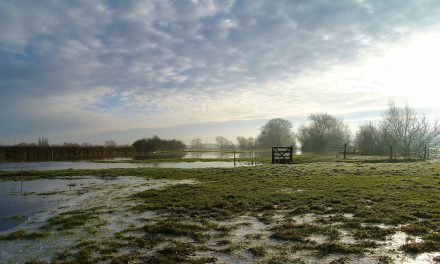 Is a property owner required to remediate water runoff caused by improvements to a neighboring property?